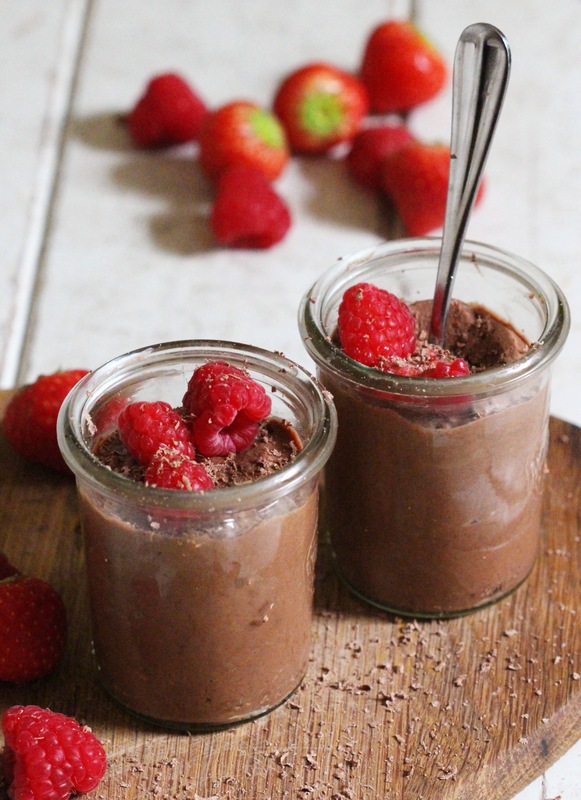 This is such an easy dessert to whip up and it’s seriously delicious. I use gorgeous, whippy coconut cream as the base and rich dark chocolate and cacao powder and for the ultimate chocolate hit. 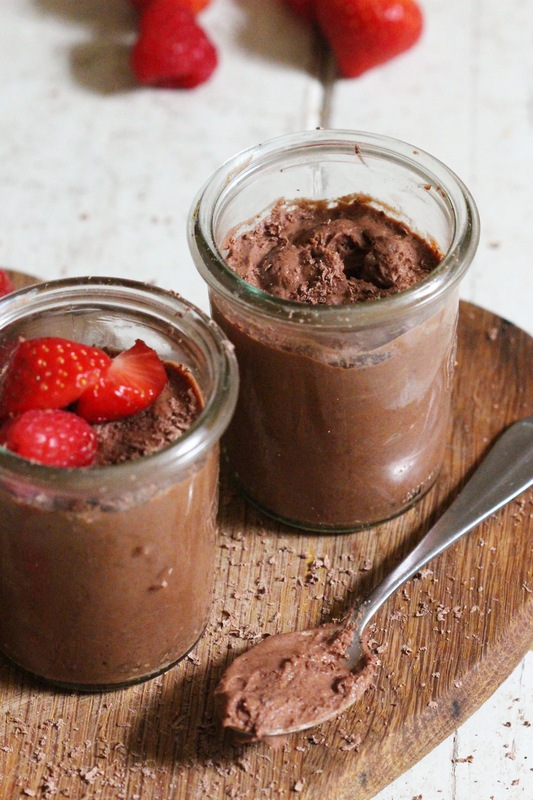 It’s the easiest chocolate mousse you’ll ever make and it’s full of healthy fats and antioxidants- perfect for dinner parties or date nights in. Take the coconut milk out of the fridge and leave it out to warm up a little. Melt the chocolate in a bain-marie and then set it aside to cool. Scoop the coconut cream from the top of each can of coconut milk (keep the water for something else) and add it to a large bowl. Use an electric whisk to whisk it until smooth and whippy- about 5 full minutes. Add in the cacao powder and maple syrup and whisk until combined. When the melted chocolate has cooled, pour it in to the coconut mixture while whisking gently. Scoop the mixture into your serving bowls or jars, cover and let them chill in the fridge for about an hour. They should keep well for up to 2 days. Hello Indy,thank you.Made it tonight.Loved every spoon ???? what a great recipe.Will definitely make it again.My next challenge will be your flourless dark chocolate souffle. Indie, what size cans of coconut milk do you use?